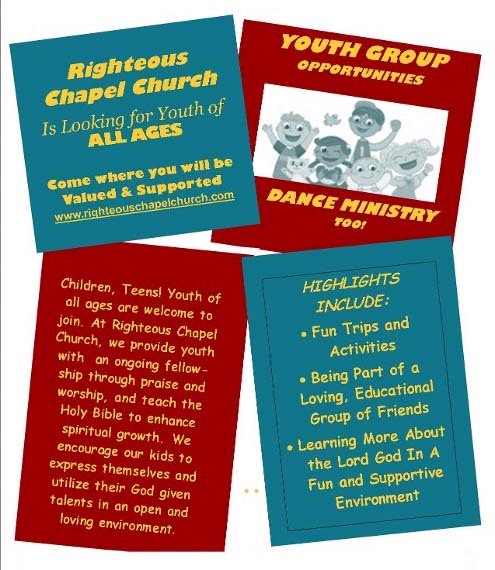 Young Men’s Ministry/ Children’s Ministry/ Youth Group/ Dance Ministry too. youth of all ages to come and make a difference. Please call for more information.